With yields from all forms of investments at historic lows, and an uplift nowhere in sight, more investors are looking beyond cash, shares and fixed interest to build their nest egg. So what should investors consider when it comes to commercial property? The typical individual investor or a trustee of a SMSF believes that beyond these asset classes, there is likely to be property, more specifically residential property. Many people have done very well with this asset class over the last few years but as noted in the media, Australian residential property is now expensive. In markets like Sydney and Melbourne, it is widely believed to be at the top of a price cycle. Residential property historically has low income returns, averaging around 2 to 4 per cent or less after all costs, but it has been attractive due to the prospect of substantial capital gain. With the likelihood of limited capital movement in the immediate future, I find it difficult to advocate residential property to investors at this point in the cycle. For investors who want their portfolios to generate income returns, residential real estate becomes even more problematic. Commercial property, on the other hand, generally provides income yields that are more than twice residential yields, and valuations are more aligned to business fundamentals rather than emotion, which can often be the case in purchasing a house or apartment. According to the most recent SMSF investment asset statistics compiled by the Australian Taxation Office, an estimated 580,000 SMSFs, with their 1.1 million members, collectively own $75 billion of directly owned property that is described as non-residential property i.e. commercial property. That is three times the residential property owned by SMSFs. These statistics tell us two things. First, many SMSF members put their business property into their fund. Second, maybe SMSF members and trustees are savvier than the typical non-SMSF individual investor and are aware of the limitations of investing in residential real estate or are not focused on residential for income returns. To show the impact commercial property can make to the income return from your portfolio, we will compare residential and commercial property at today’s market values. Let’s say you want an investment that earns you $250 per week in your hand (ignoring tax). If you take the current gross income yield of Australian houses (3.3 per cent) and additional expenses in owning a home – such as property management fees, home insurance, landlord insurance, council rates and water rates – we estimate that to earn $250 per week, you would need to invest $520,000. To achieve that $250 per week income you need to find a $520,000 home that provides a gross yield of 3.3 per cent (or $330 per week), which is achievable. This analysis ignores body corporate fees if you purchase an apartment or townhouse and also ignores land tax and maintenance expenses. It also ignores the high stamp duty costs when you purchase the property. These additional expenses will increase the amount you need to invest to earn $250 per week. Let’s compare this to an example of a commercial property investment returning 6.75 per cent income. To deliver a $250 per week income, you would need to invest $192,000. To recap, to earn $250 per week you could make a $520,000 investment in residential or you could invest $192,000 in commercial property and have an additional $328,000 to invest in other opportunities to boost your income further. I’m not suggesting putting all of your capital in one unlisted property fund that earns 6.75 per cent income. Unlisted property funds have risks like all investments do. However, there is a good argument that residential real estate is seriously eroding SMSF investors’ income returns and other asset classes should be considered. Commercial property provides you with a powerful income amplifier and can provide diversification to your portfolio. Who wouldn’t want to increase their weekly income from $250 per week to $675 per week without lifting a finger? We need to evaluate several key criteria when considering whether a property meets our investment principles. If you are interested in commercial real estate investment, consider these tips. 1. Position Unlike the ‘position, position, position’ mantra recited when discussing residential property, here I am talking about geographic markets. We have a bias to Sydney and Melbourne metro markets as these are the core markets of the two top economic performing states. The July 2016 CBA report State of the States provides a good snapshot of the relative economies. 2. Tenants Critical to the success of any commercial property investment is the quality of the tenant. It is always advisable to seek – or inherit, if you are buying a tenanted property – a tenant who has an established business with a performance history. A known brand name is always likely to be more secure than a start-up enterprise. 3. Gearing It’s important not to over-gear a purchase, so that you can withstand tenancy shocks, that is, a vacancy period as a result of a loss of a tenant, and market shocks – a sustained downturn in the macro economy which may lead to a re-rating of rent levels and the ability of businesses to meet their rental obligations. Generally, direct property funds that are geared in the range of 30-45 per cent reflect a low risk approach. For individuals, there is no magic gearing numbers but it is critical to ensure that your level of borrowing is prudent enough to be able to sustain the aforementioned market changes. Taking the time to prepare a series of ‘what if’ scenarios is time well spent. 4. Lease Providing you have a strong tenant and a rental level you are comfortable with, it’s desirable and advisable to seek as long a lease term as possible. This way, you are locking in your future returns for a substantial period without the worry of finding another tenant or the need to negotiate rental levels. Of course, if you are buying a property that is under-rented (i.e. a rent below prevailing market levels), a short lease is more attractive so that you can go to market and seek a market rental. Generally speaking however, the longer the lease, the safer the investment. 5. Partnership This may be the least intuitive of my five investment principles, but it is just as important. As a landlord you have a vital interest in the welfare of the enterprise that leases your property. You are in effect in a business partnership with your tenants. Accordingly, it pays to form a positive relationship with the tenant and have a predisposition to seek to understand and help solve problems relating to the tenancy should they arise. Your welfare is directly tied into your tenant’s welfare and the nature of your relationship with the tenant ideally should reflect this. 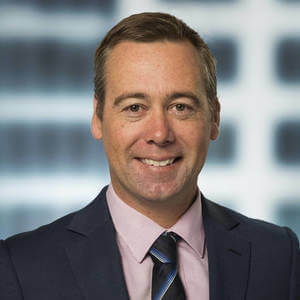 With interest rates and yields extremely low and likely to remain lower for longer, exploring investment options in commercial property through your SMSF is likely to be a positive experience, whether your fund purchases a building outright or invests in a direct property trust managed by a leading property fund manager. Just remember these five commercial property principles.